Our panel supports 14 languages including English, Italian, French, Russian, Dutch, Spanish and etc. So anybody with almost any language can make the most of our services. We believe our customer services are our strength. No matter what happens and what the problem is, we are always available to help. We offer 3 days trial for all our features. Enjoy promoting your page, and if you have any questions, do not hesitate to contact us. Instarazzo was added by instarazzo in Aug 2018 and the latest update was made in Aug 2018. The list of alternatives was updated Apr 2019 There is a history of all activites on Instarazzo in our Activity Log. It's possible to update the information on Instarazzo or report it as discontinued, duplicated or spam. Instazood is the best online Instagram bot, schedule posts, and Instagram auto DM tool. Get more real followers, likes, comments on Instagram with the Instagram bot. SMMPortal specializes in marketing services for social media profiles. Try Smmportal.com. 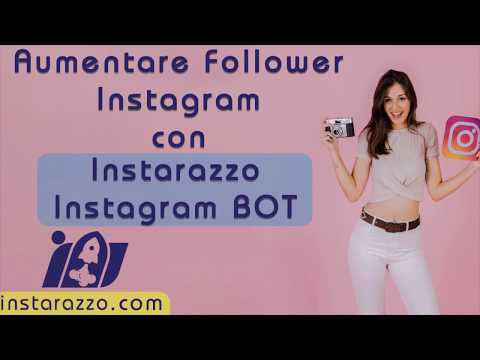 The best online Instagram bot on the web. Automate your activity and get more free instagram followers, likes and comments. A Smarter way to Auto Post on Instagram Save time managing your Instagram accounts, publish and analyze all your posts in one panel. SIMPLE & POWERFUL INSTAGRAM BOT. GET UNLIMITED FREE INSTAGRAM FOLLOWERS USING OUR INSTAGRAM AUTOMATION TOOL. Alternatives to Instarazzo for Web, Windows, Mac, Linux, iPhone and more. Filter by license to discover only free or Open Source alternatives. This list contains a total of 17 apps similar to Instarazzo. Maybe you want to be the first to submit a comment about Instarazzo? Just click the button up to your right!